Henley Chocolates is a chocolate lovers hideaway. We lovingly create handcrafted chocolate boxes, bars, and shapes for chocoholics of all ages. We are passionate about great flavours& quality ingredients, fresh and local where possible. We love what we do and hope that you enjoy eating our products as much as we enjoy making them. We work hard to make sure that our little industry has minimal impact on our beautiful planet. If you are interested in finding out more about what we are doing to protect the environment and about the great people that we work with there’s more information here. Here in our chocolate factory we live and breathe chocolate. 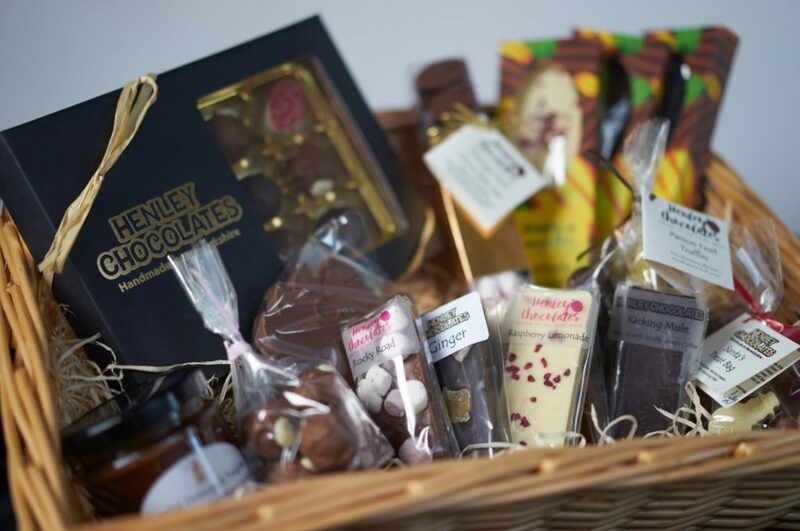 All of our products are handmade and are taste tested not only by us and our highly discerning mini-chocolatier but on members of the public with our chocolate club. Only the very best products make it to sale. This means we have something unique to offer everyone right up to the most serious chocolate connoisseur.